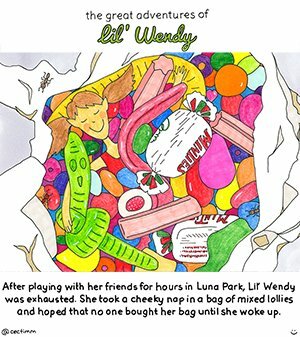 There is a fantastic group on Facebook called 52 Week Illustration Challenge. 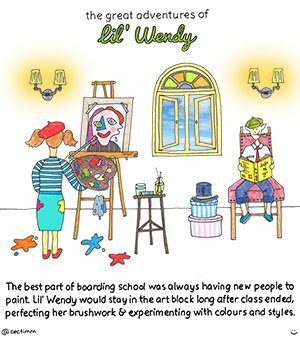 They publish a list of subjects, one for each week and members share their work. 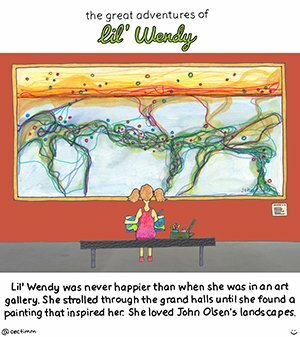 It’s a great way to keep up your practice and get encouragement from a caring community. 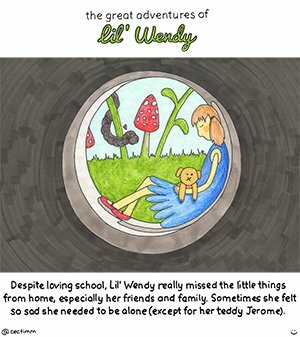 This is my first year as a participant and I decided to weave all of my illustrations into a story. 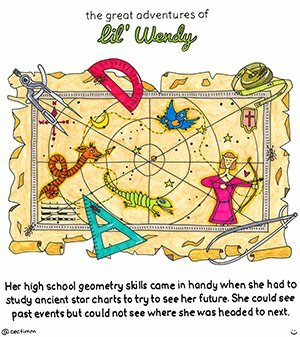 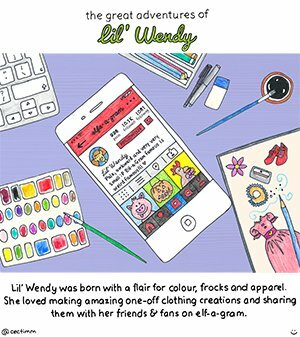 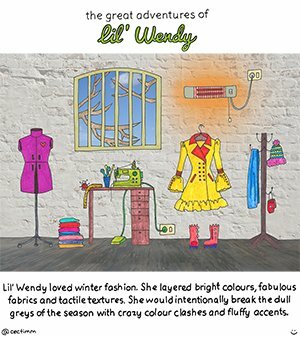 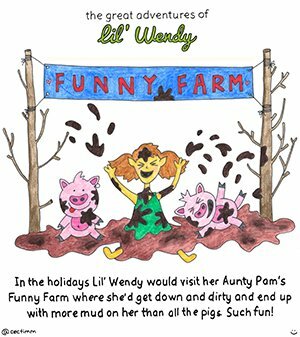 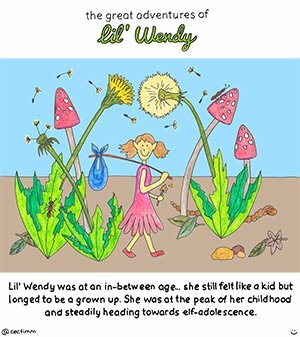 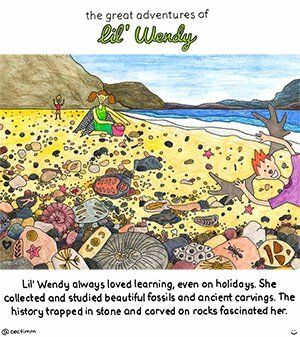 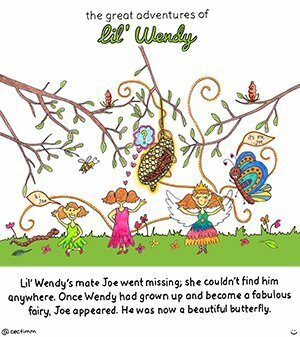 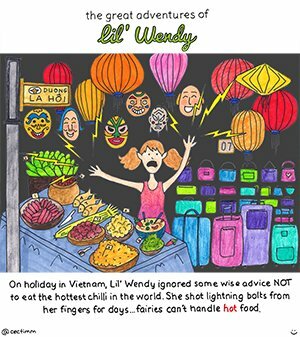 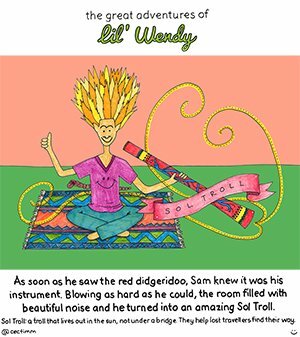 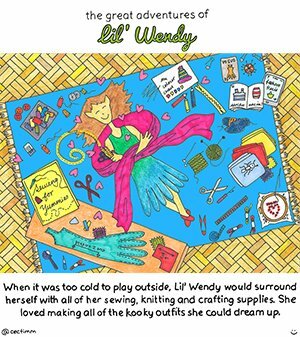 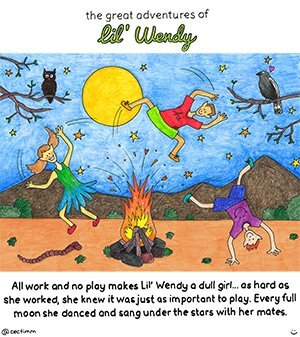 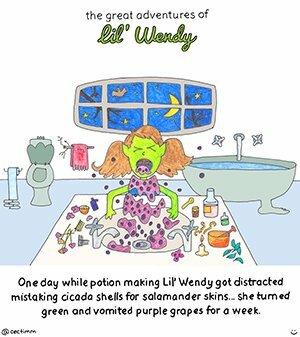 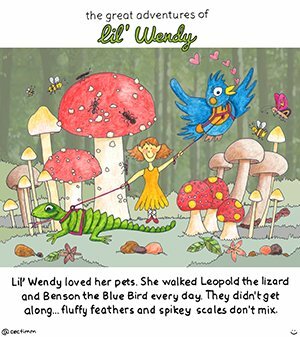 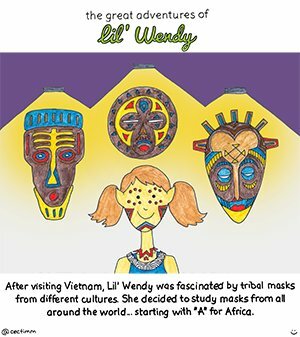 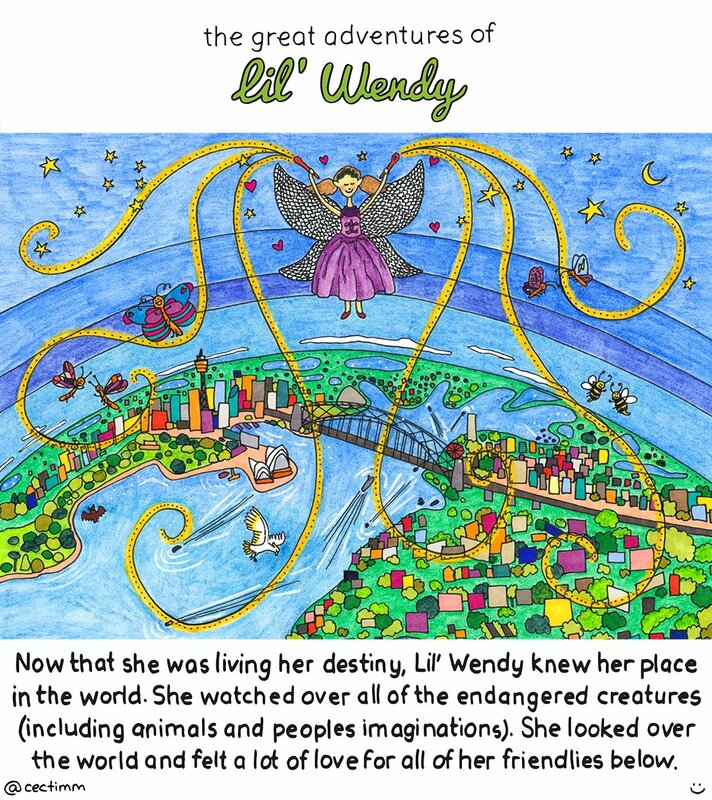 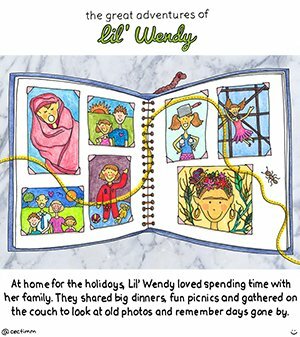 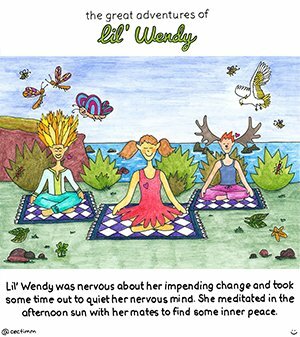 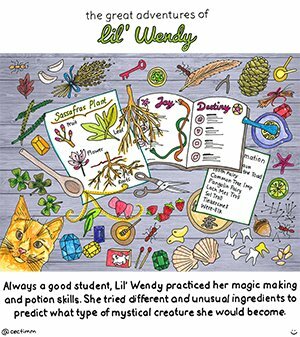 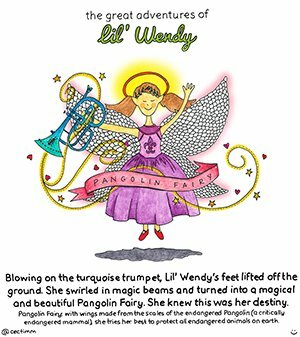 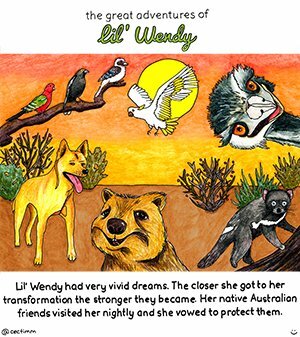 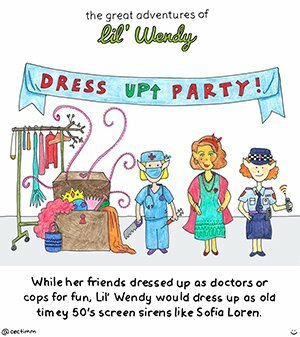 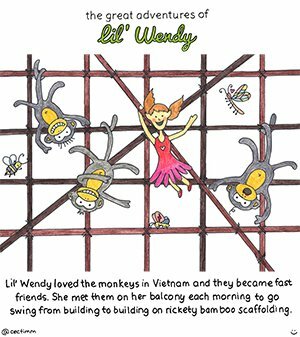 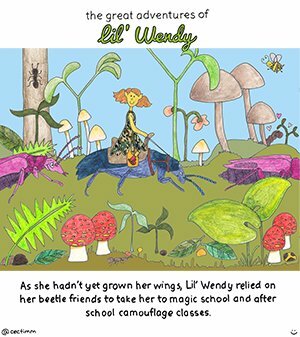 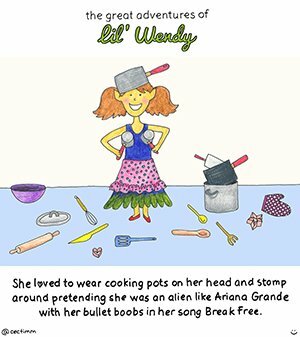 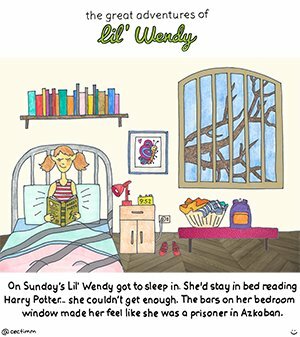 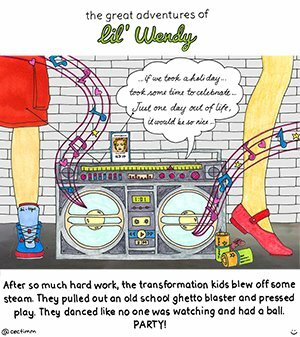 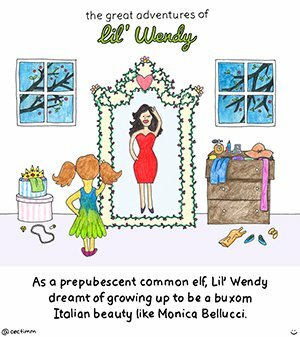 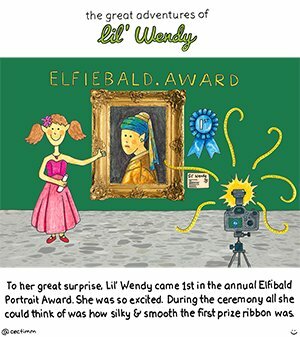 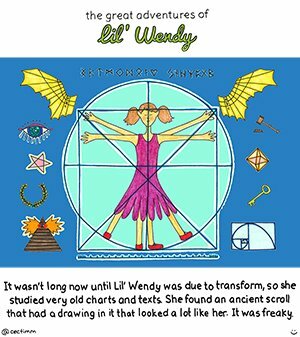 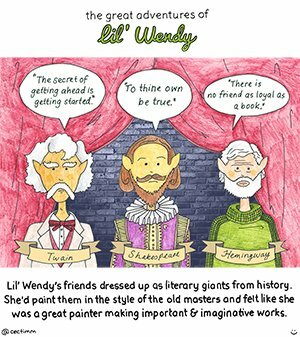 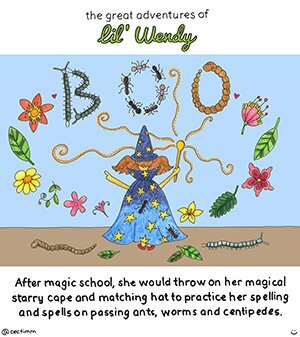 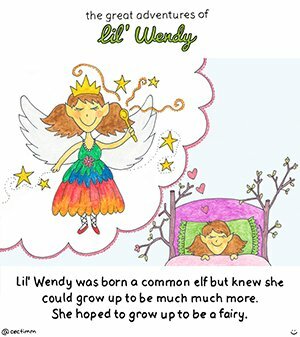 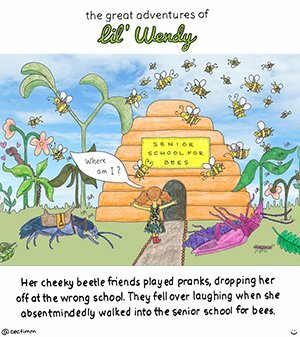 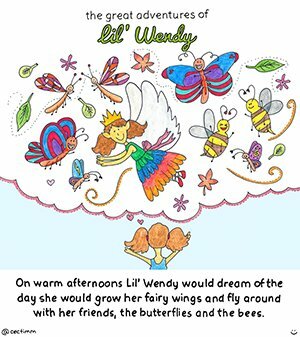 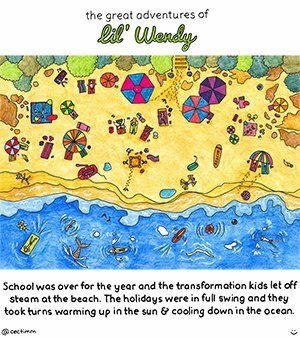 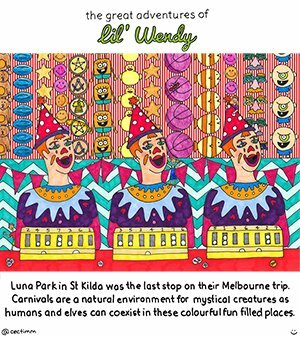 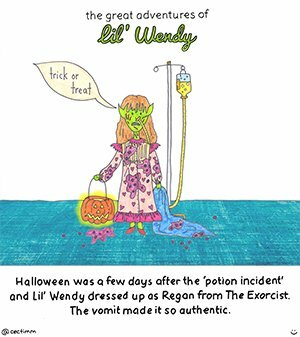 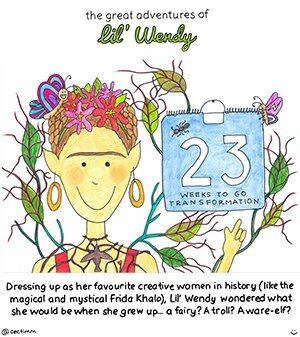 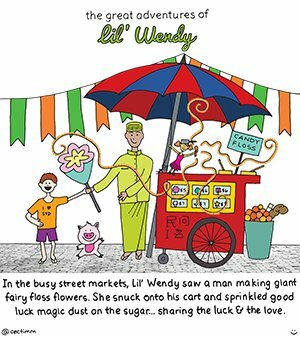 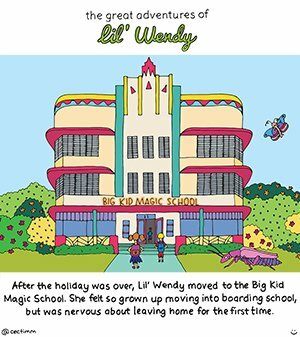 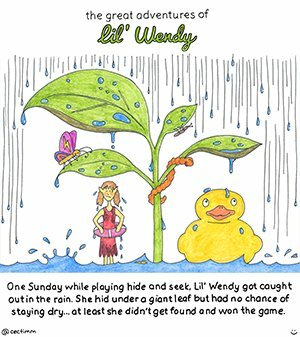 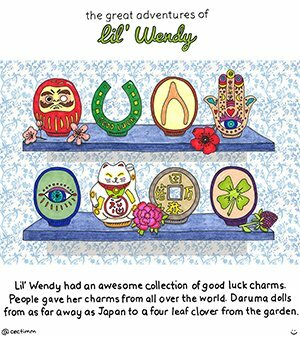 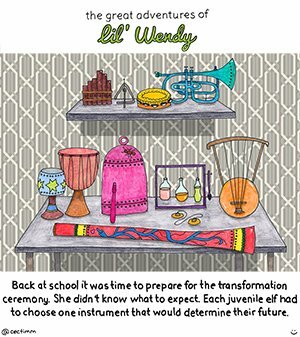 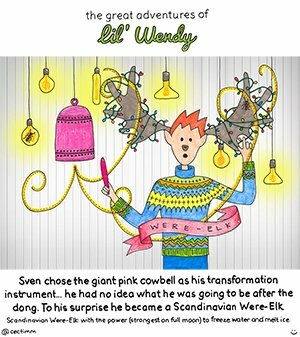 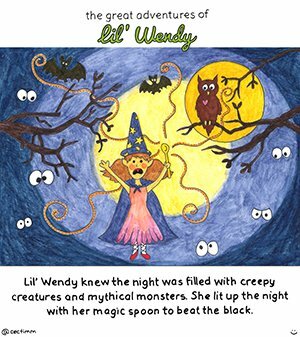 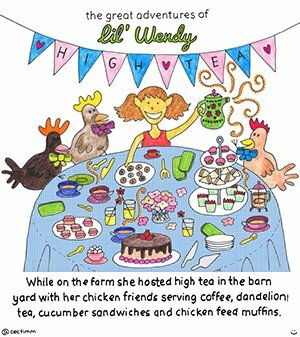 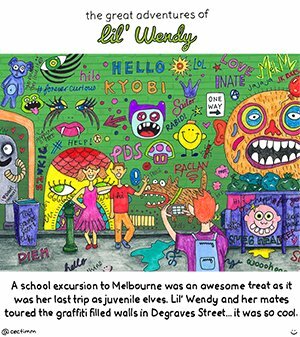 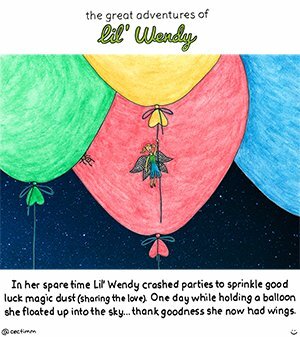 This is the story of Lil’ Wendy and new story board will be published each week.